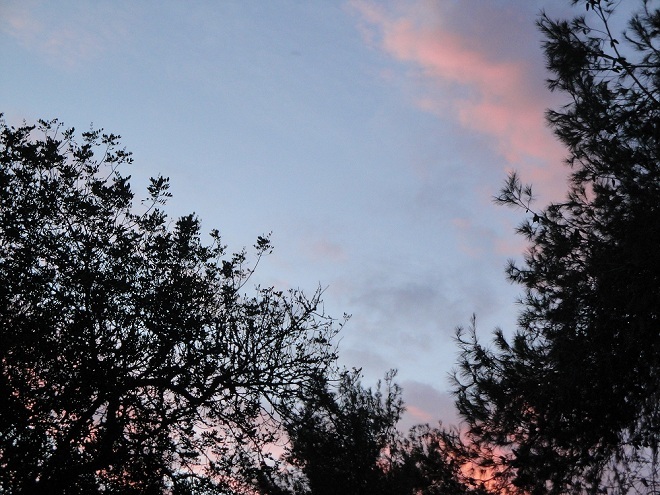 dekel & i had such a random, but wonderful day yesterday. we woke up early to go to the social security office to sign some papers & then we headed to super-pharm to get some last minute medications and cremes before our trip (which we leave for in 5 days!!! ), then we hit up the grocery store to buy some beer and snacks for a going away party we will have on thursday. after we ran our errons we met up with dek’s family for lunch at a hummus place in afula, then deke’s friend called and asked if we could help him out for the rest of the afternoon with something & since we had nothing else to do, we happily agreed. 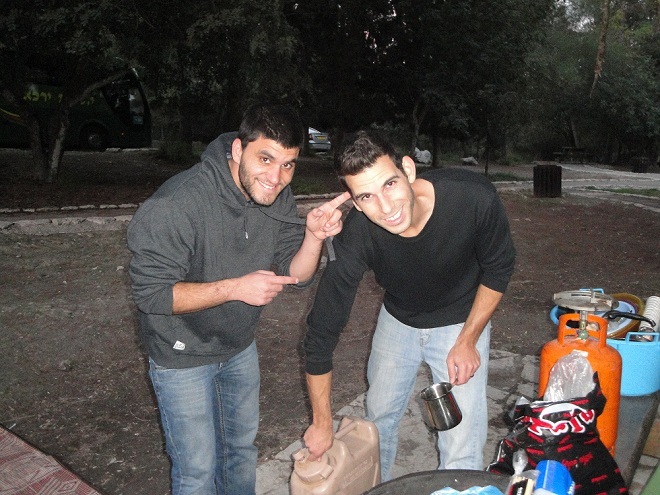 dekel’s friend elad is a tour guide (he took us on this hike! ), like for nature parks & stuff, and he had a nature tour to give to kids grades 4-6 from 4 pm- 9 pm but the lady who was supposed to help him cancelled last minute. 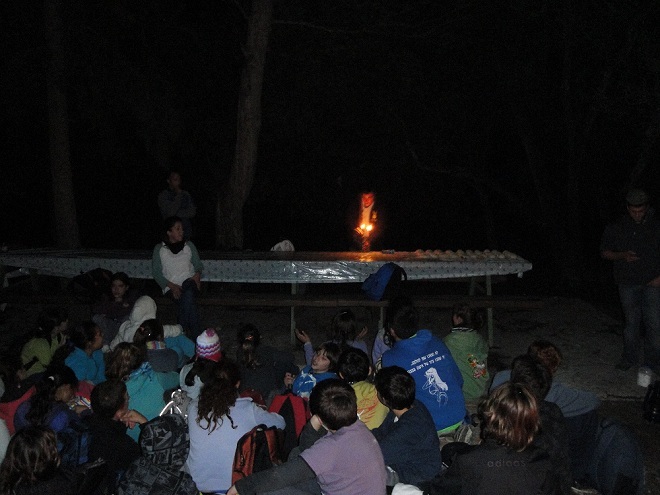 he just needed us to help set up a bonfire & some food where he would end the nature tour so everything would be ready and waiting for the kids when they got there. 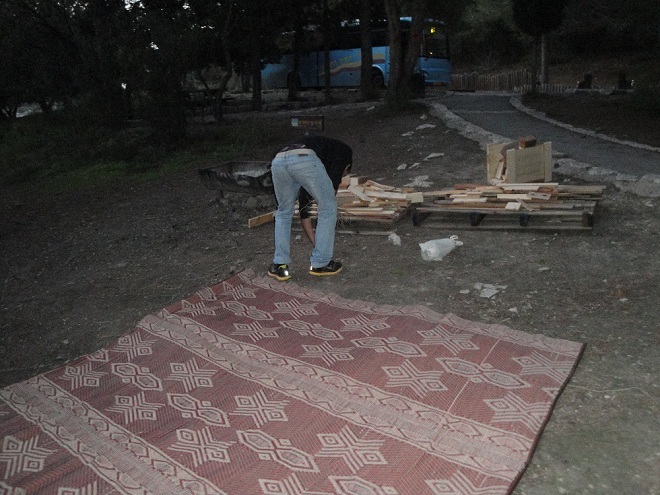 elad provided the wood for the fire and the food and tools and dekel, our friend guy & i went to where they would end the hike and we set everything up a long wooden table that was there. 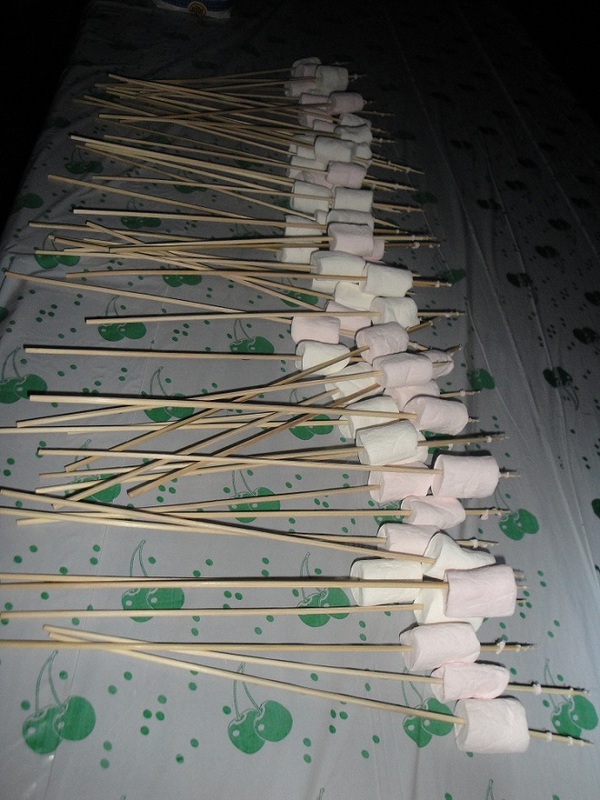 we prepared marshmellows on sticks & dekel made dough for the kids so they could make pita on a tabun. 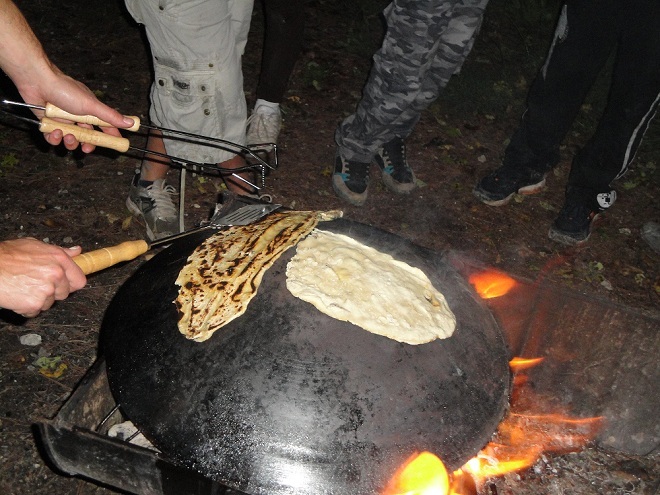 a tabun is a metal dome that you put over a bonfire, it heats up from the fire & you place the dough on it to cook. 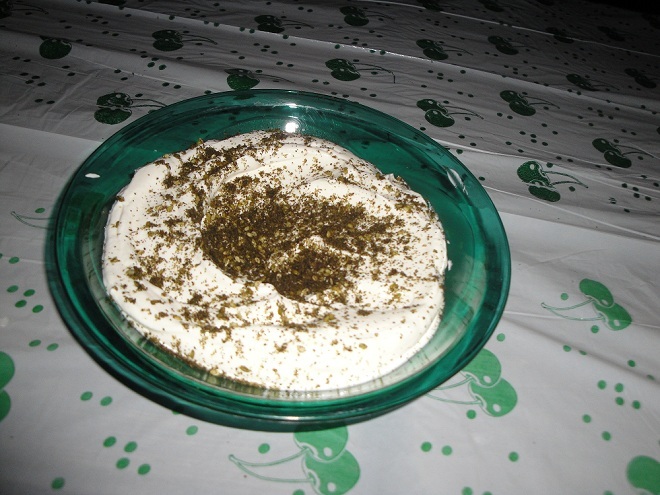 there was also labane with zaatar and olive oil & chocolate spread for the kids to dip their hand-made pita’s in after they cooked. 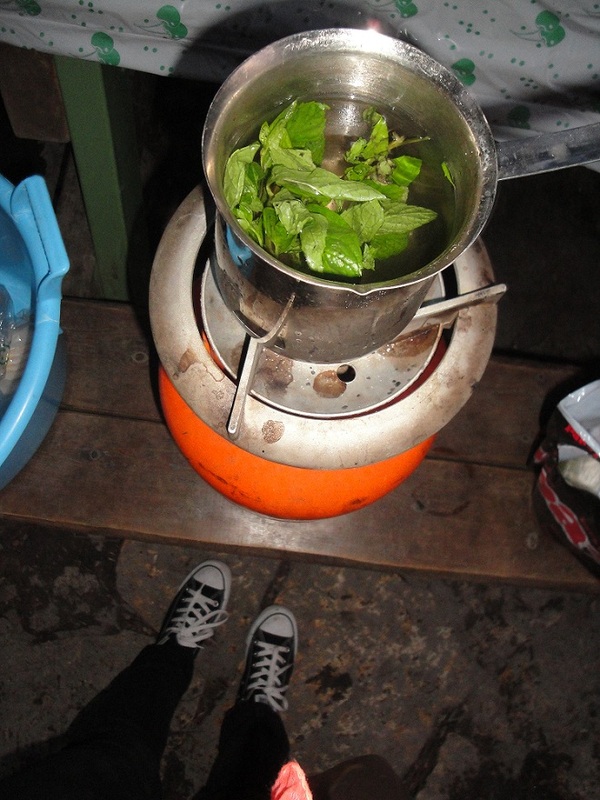 we also made a big pot of sweet, mint tea for them cause it was kind of chilly after the sun went down. 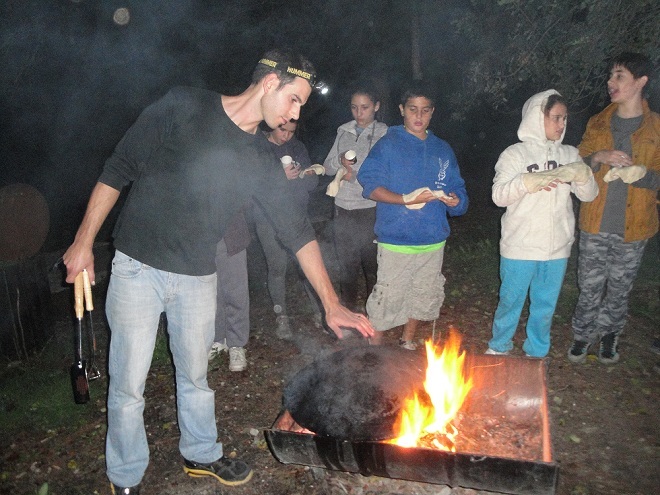 dekel getting the bonfire wood ready to use. 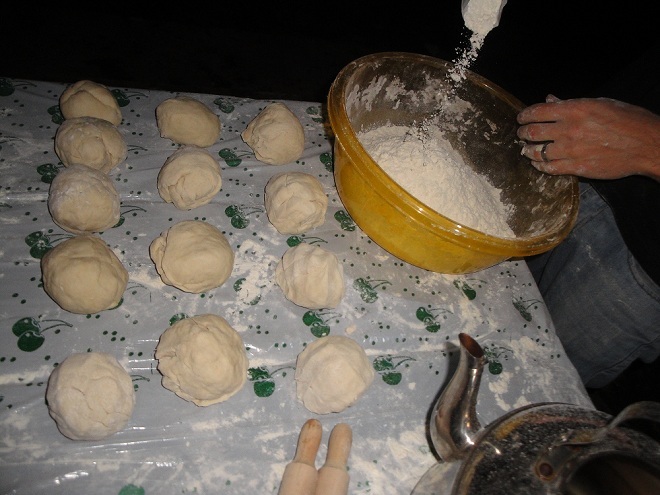 there were 35 kids & each one was to get a small ball of dough to roll out to make his own pita. 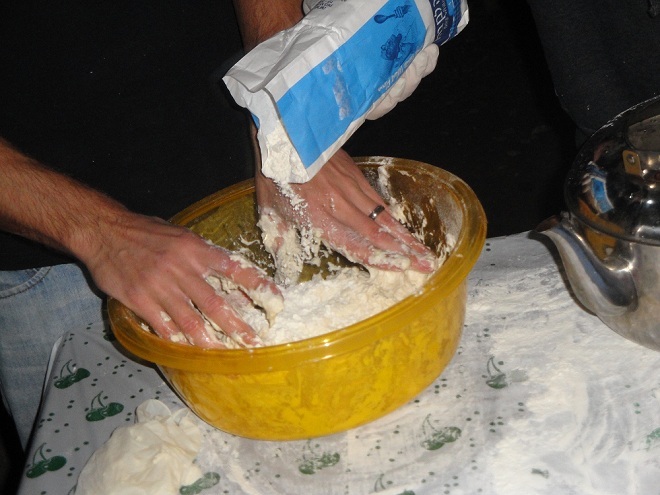 we went through 4 bags of flour! 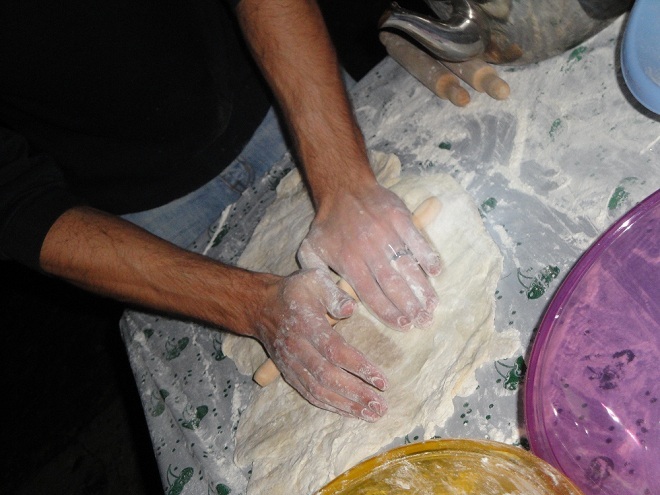 while we waited for the kiddos, guy made us sambusak with olive oil & zaatar filling. it’s a thin pastry that you can fill with cheese, onions & whatever you want (we only had olive oil & zaatar) & you fry it to a crisp and dip it in labane. i must have had like 5! 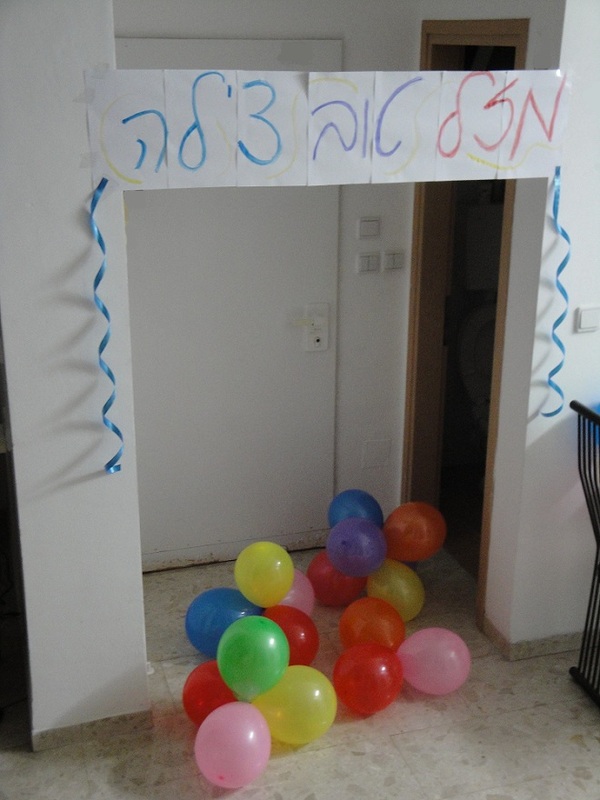 tonight we will celebrate with her & then tomorrow we are going to meet up with my dad in ramat yishay. 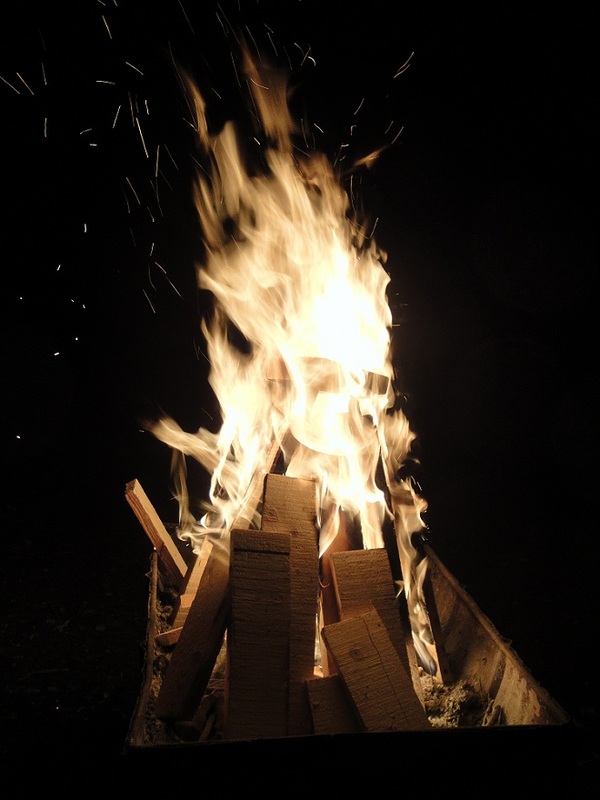 hope eveyone had a wonderful weekend!